Saks Inc. reported a loss for the fourth quarter Wednesday as the luxury retailer was forced to slash prices to pull in affluent shoppers who have sharply pulled back on their spending in the recession. The company also issued a downbeat sales forecast. The New York-based retailer, which operates Saks Fifth Avenue, said it lost $98.8 million, or 72 cents per share in the quarter ended Jan. 31. That compares with a profit of $39.47 million, or 26 cents per share, a year ago. Excluding the after-tax loss from discontinued operations of $15.8 million, Saks recorded a loss of $82.9 million, or 60 cents per share. The charge is associated with the company's announcement in November that it was discontinuing its Club Libby Lu store division. The quarter also included several after-tax items totaling $11.2 million, or 8 cents per share. 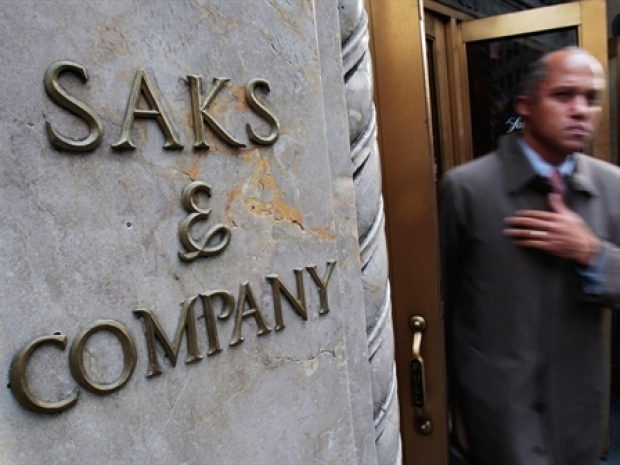 Saks and Co. posted dismal results in its 4th quarter. This, after announcing major layoffs. Sales dropped almost 15% to $835.5 million. Same-store sales, or sales at stores open at least a year, fell 15.3% in the quarter compared with a 9% gain in the year-ago period. Same-store sales are considered a key indicator of a retailer's health. Analysts surveyed by Thomson Reuters, who typically exclude one-time items, had expected a loss of 30 cents per share on revenue of $859.4 million for the period. Luxury retailers like Saks have been among the hardest hit retailers as they were caught by the sudden retreat of shoppers who had been willing to pay $900 for designer shoes and $5,000 for handbags. The sudden reversal of fortunes forced the luxury merchant to slash prices on holiday goods by up to 70% even before the official holiday season began. Meanwhile, Saks has been cutting inventories this year as it responds to a slump in demand. Saks said in January that it's eliminating 1,100 jobs and taking other steps to cut costs by about $50 million to $60 million in 2009. "Our sales results and operating performances in the fourth quarter reflected deteriorating macroeconomic conditions," Stephen Sadove, chairman and chief executive, said in a statement. "Although our aggressive promotional actions significantly eroded the fourth-quarter gross margin rate, we made meaningful progress in reducing inventory increases and sales." Saks predicts that same-store sales for the full fiscal year will decline by low-double digits — it expects a 20% drop in same-store sales for the first half and a decline of anywhere from mid-to high single digits in the second half. Inventory levels are expected to fall in the low- to mid-teen percentage range at the end of the second quarter of 2009 and through the second half of 2009.